How long has your book shop existed? It has been here on the edge of Bayards Cove for about seven years. Previously the business was run from Newcomen Road for a number of years by my sister Emilie who got the business up and running. When we moved to where we are now, she very kindly allowed me to take a half share in the business and I am now buying the remaining 50%. 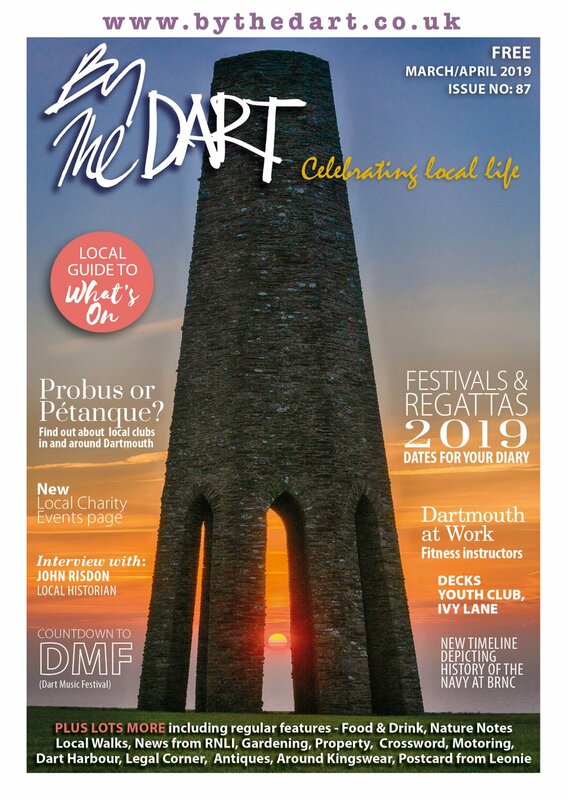 Were you born in Dartmouth? No, the family moved here from Lincolnshire when I was about three. 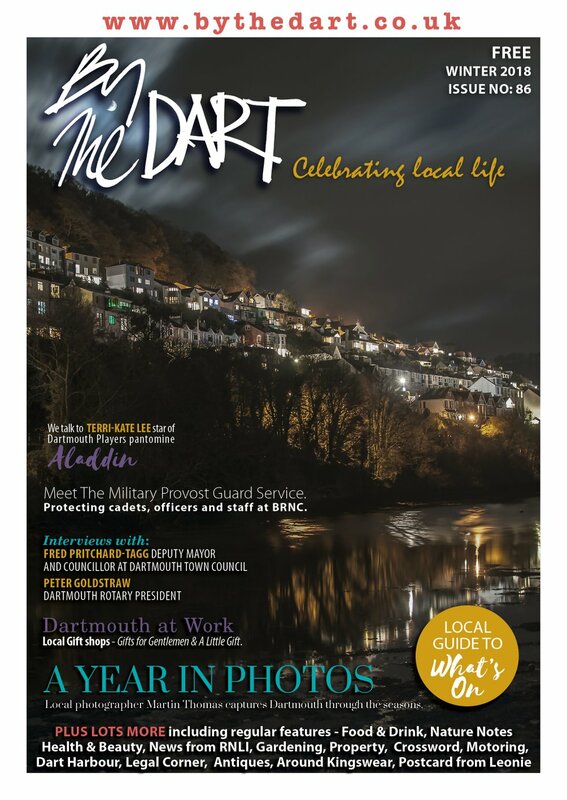 So I have spent most of my life in Dartmouth before moving over to Paignton with my partner Michael who I will be marrying in August this year. The clue is in the name! 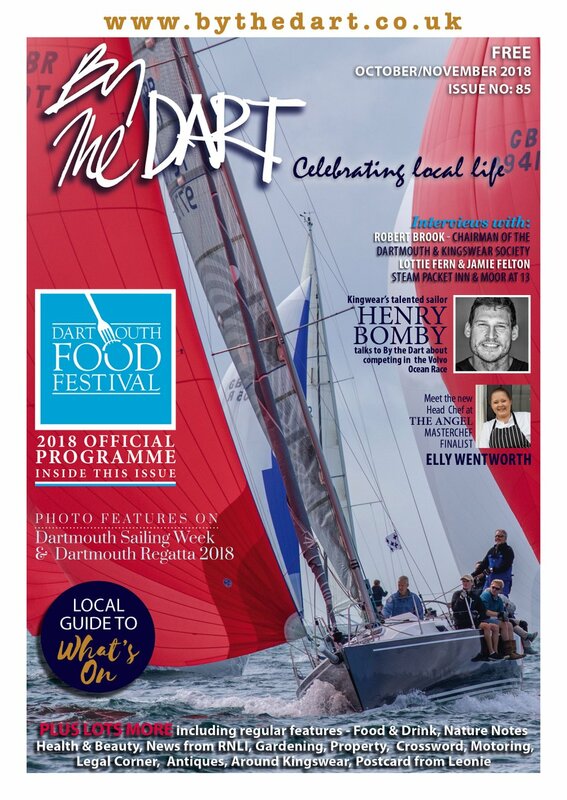 We have books to hopefully suit everyone from ‘beach reading’, specialist subjects, children’s books and collectables – if we have a specialisation it would probably be the nautical books. We also sell on-line. The shop is additionally used as my office for running Compass Marine (a specialist fender and fender related items company), an events company which holds boat jumbles round the country in the West Midlands, Wales, Humberside and of course Devon and we also offer a rope splicing service as well. It is a great place to be based. Where do you obtain your books from? Car boot sales and house clearances but I have to say mostly now from people bringing books into the shop from which I can ‘cherry pick’ to suit the clientele. What’s the best thing about having your business in Dartmouth? Definitely the friendliness and support everyone gives to each other. All the businesses form a support system to each other taking in parcels and holding keys – a really nice sense of community with locals using the shop just as much as tourists. What’s the most difficult thing about trading here? The quiet time after Christmas and New Year as far as the book side is concerned although I am grateful to have this time to organise for the Southampton Boat Show in January. Also the age old problem of parking can be a problem! Occasionally this area of the town is subject to flooding so we have to be ready with the sandbags and I have the shop organised so everything that is on floor level can be lifted out of harm’s way very quickly. What did you do before taking over this business? I worked for nine years opposite this shop in the Dartmouth Arms and then when I moved over to Paignton I studied animal care at Paignton Zoo for some time before going to Plymouth University to do an Ecology degree – so obviously the natural next step was to progress to a book shop! What kind of books are most popular? Probably nautical, military history and crime fiction. People love a good murder - I read them for the hints and tips! Bernard Cornwell who writes the Sharpe series of books (as seen on TV.) I love his books as they are wonderfully written and historically accurate. For the past six or seven years, I set three months aside to re-read all 27 books in the series. I never get bored re-reading them - I can be a bit obsessive!